We were looking at the DIFFERENT materials used to build a house. 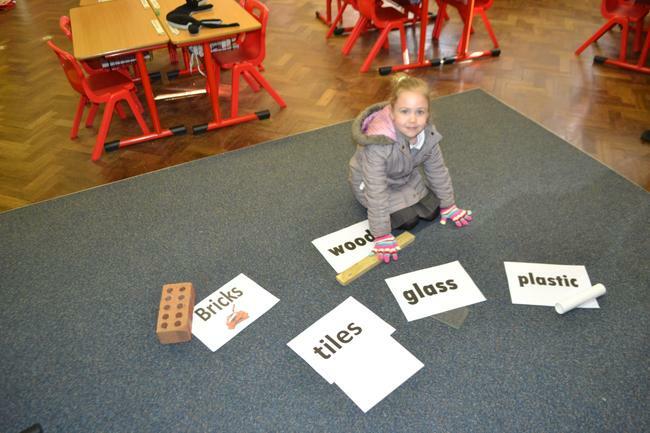 We used our sounds to help us match the words to the correct pictures. We looked at the BEGINNING SOUND to help us.